Personality: Jakson is a strong exerianced dog with a easy going style. He is easy to get along with and loves just about everyone. 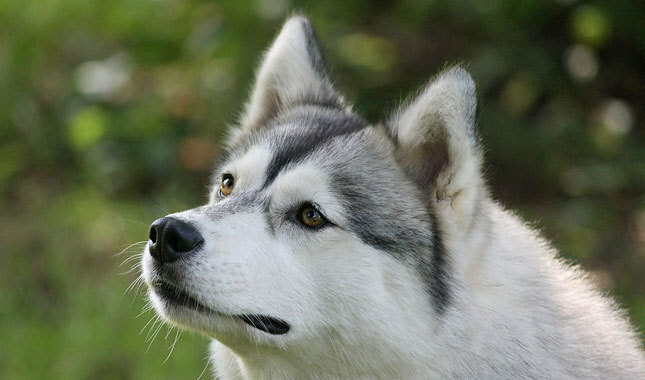 History: Jakson is a sibarian husky born into a family that raised and trained him to be who he is. He was sold to the current owners, and they are slowly introducing him to the rest of the team. Personality: Scara is a quiet female with a cold heart. She cares for none exept when she is in heat then its normaly the leader of the team. She only respects her owners and the leader of the team. History: Scara was owned by a family of 4. Her owner was kind and cxaring until the day that she attcked his son. She was kicked out of the house after she was hit and kicked by the son. She tried to go back to them but it wasnt allowed. Eventually the man gave her to a dealer who took her up to the auctions where she has yet to be brought. Personality: Simon is a strong exerianced dog with a tough guy style. He is easy to get along with but can be a real smarty at times. History: Simon is a sibarian husky born into a family that raised and trained him to be who he is. He was sold to the current owners, and they are slowly introducing him to the rest of the team along with his brother Jakson.